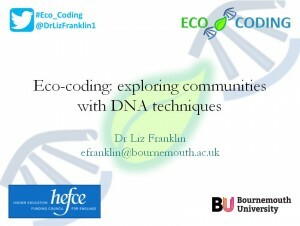 On 23rd of February Dr Liz Franklin of the Eco-coding team was invited up to York to give a lunchtime seminar to staff, undergraduates and postgraduates on DNA barcoding and how you can get involved, even if you are an behavioural Ecologist. 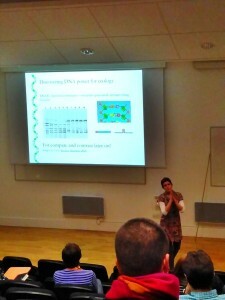 The talk was well recieved by all and resulted in a good discussion with the staff and students on the topic. We hope that this will lead to future collaborations between our institutions. 2nd November 2016 Interested in helping bees and other pollinators thrive in our towns and cities? 26th August 2016 Fruit and Vegetables – 5 a day and never mind the quality?